The Arts Council welcomes the Spring 2018 UAS Student Art Show! With submissions in multiple media by Juneau’s up-and-coming artists, this is always a community favorite. Stop by to peruse the work of UAS students, and stay for Clink! From 5:30-7 PM, Raise a glass to support the New JACC! Taste 46 amazing wines! Tickets available at the JACC. Alaska State Museum: “Agents of Discovery” scavenger hunt Phone App launch! The Alaska State Museum has partnered with the US Forest Service to make the museum an Agents of Discovery mission site. Sites can be found throughout the United States and Canada, with locations ranging from museums to parks and national forests. The app encourages kids to explore the world around them by gamifying educational content. You may start playing at 3:45 PM, with opening remarks at 5:00. The Salmon Forest, a film created by the Sitka Conservation Society and the Forest Service, will be on view in the Museum’s Earth Science Gallery beginning at 5:30. 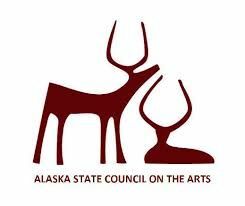 The reception is sponsored by the Friends of the Alaska State Library, Archives, and Museum. Museum admission is free from 3:45-7 PM. Continuing exhibits include Deacon Charles Rohrbacher’s Windows into Heaven, Linda Infante Lyons’ Ebb and Flow, and Grand Visions of the Great Land: Historic & Contemporary Art from the Alaska State Museum Collections. The Store at the APK will host local guitar maker George Gress with a showcase of his handmade guitars. Meet George and check out his new pieces from 4-7 PM. Coppa will be hosting a Pop Up Art Show featuring a variety of local Juneau artists. Come check out the fabulous art that your local talent has to offer! Meet author David Ramseur and get a personalized copy of his book, Melting the Ice Curtain: The Extraordinary Story of Citizen Diplomacy on the Russia-Alaska Frontier. Annie’s April 2018 First Friday guest artists will be wood worker Robert Fletcher, artist Mandy Heck, and jewelry artist Colleen Goldrich. Enjoy a collection of Robert’s turned bowls and other wood work, most using local wood. Robert’s work is gorgeous and expertly crafted and we can’t wait to see his latest work. Plus, enjoy a new collection of original art from Mandy Heck! Through her “Abundance Illustration” line, Mandy creates miniature original animal artworks, primarily of local wildlife. Each is hand-drawn with exquisite detail and personality, and comes framed ready to display at a friendly price-point. Finally, while not busy managing Juneau’s premier fine art and craft gallery, Colleen Goldrich has been busy working on a new collection of original jewelry. Enjoy a trunk show of her “Moondance Alaska” creations – featuring pearls, silver, gold, and one-of-a-kind designs! The opening reception will take place on Friday, April 6, beginning at 4:30 PM. Nicole Bauberger from Whitehorse is kicking off a week of classes with an exhibit of MANY ravens at Sketch Studio. Artwork will be up through April 15th, but come First Friday for snacks and a chance to meet Nicole. April 9th-13th: Mini lunchtime workshops with Nicole Bauberger, 11:30 AM-1:30 PM. $40 each, all tools and materials provided, or $175 for the whole week. Encaustic is a form of painting with pigment and beeswax. This short workshop will focus on how to embed things in the wax, ranging from papers to beads and other light objects. Monday: Graphite on panel with alkyd medium and white oil paint – a mix of drawing and painting. Tuesday: Metallic and sparkly interference oil paints on a black ground. Wednesday: Layering transparent acrylics with white. Thursday: Japanese stab binding technique. Learn this simple and versatile method of making a book. Saturday, April 14th: Encaustic workshop with Nicole Bauberger, 1-4 PM, $65. Encaustic is a form of painting in molten beeswax mixed with artists’ pigment. There are lots of things to do with it – layering, scraping, fusing with a heat gun, collage, creating depressions in the wax to fill with color, and so on. The most important thing to bring is your spirit of adventure. Space is limited! To register call MK at 907-957-2061. 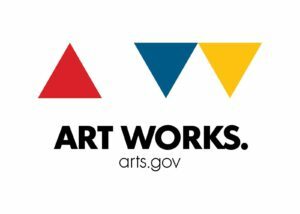 Exhibit up through April 15, workshops April 9-14th. Sealaska Heritage will highlight works by featured artists Tim Brown of Yakutat and Renee Culp of Juneau. Brown will be showcasing his hand-sewn sea otter and seal fur scarves and wallets, and Culp will be selling her jewelry and other handmade goods. In the Delores Churchill Artist-in-Residence space off the lobby, Tlingit carver Lance Cesar will demonstrate wood carving. Come groove with us to the unique musical stylings of live, local band Goldwing for First Friday in April! We’ll provide the entertainment and refreshments, but please, bring your own groove! Join us for tasting of Barnacle Foods products, brought to you straight from the glorious bounty that is the Southeast Alaska wilderness. Meet founders Matt and Lia during our April First Friday event and try their delicious and sustainable kelp salsas, pickles and seasoning mixes. Thirty new works of metal and wood sculptural art by Dean Guaneli, highlighting the texture and character of found Juneau objects. 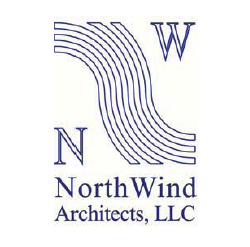 Northwind Architects welcomes Juneau artist Sydney Akagi for April First Friday, featuring a variety of wallpaper samples that Sydney has been working on with Aurora Projekt. Join us at the City Museum for a reception for our continuing 12×12 exhibit, Seasons, on April 6th from 4:30-7:00 PM. For 14 years, the City Museum has hosted this popular community exhibit, which encourages artists of all ages to submit a piece measuring 12”x12” (x12”). The exhibit will be on view through April 21st. This event is free. Exhibit up through April 21. BBC will be featuring Kaley McGoey, of Fera Photography, and typography from visual artist Lauralye Miko. They’ve come together to collaborate on the gallery titled Lunar Flow. This show celebrates the lunar cycles that affect both outer world and inner beings. BBC will be releasing a small batch of dark saison called Legislative Saison. This beer was brewed in honor of this year’s legislative session. Be sure to stop by Friday while supplies last! Amalga will be hosting an art show and fundraiser with artists Ben Huff and Hannah Perrine Mode to benefit the Juneau Icefield Research Program. Come out to learn more about JIRP, and enjoy pictures from the icefield. Long time Juneau photographer, Cam Byrnes, is the featured artist for the month of April. In honor of the Gallery’s new floor, new trimmings and new artist who have recently joined, Cam has changed the look of his display and added new photographs and cards to his growing line of note cards. As always, the Gallery will have great snacks and a warm welcome for all the “locals” before the ships show up in another month. Come on down and check us out! We have been getting lots of compliments about our new wood floor. People say it makes the gallery look bigger and very welcoming. Bustin’ Out Boutique is happy to be hosting Tiara Ward from Younique! Tiara likes to focus on the skin care side of the Younique brand! She wants healthy skin to be the foundation to your skin and make-up regiment! Don’t forget to stop by and sign up for our ‘Foundations Giveaway’! Bustin’ Out Boutique is giving away a bra and Tiara is giving away a lip gloss! We will only be open till 7 PM so hurry in and don’t miss your chance! Harbor Tea & Spice is excited to feature Moe’s Health Care Products. Their products are Organic, hand crafted, made with cold pressed oils, raw and unrefined butters. There are no dyes or harmful chemicals. Their line includes everything from organic skin products for adults & children, Devil’s club salve/ balm and tinctures to foot soaks. These hand crafted products are made with love!! Come by and meet the makers and share a cup of tea! Join Libby Stringer on Violin and Carol Race on the mat for a free class of Yoga and music to start your month of April on an upbeat. 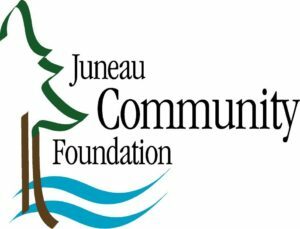 Rainforest Yoga offers a free class each First Friday for the Juneau community. Come see what we are all about. No experience needed. Enjoy the flow 5:15-6:15 PM. Enter the door at Gold Town Theater, we are upstairs.